Here at Windsor Dental Group, we use the most state-of-the-art technology available to improve the dental health of our patients. We feel that the people of Windsor, CA deserve the most advanced dental technology available, and it’s an essential part of having a beautiful smile. Many improvements have been made when it comes to diagnostic tools available to dental health professionals. Thanks to cone beam computed tomography, dentists are now able to get high-quality 3D images that reveal the complex relationships of the interconnected hard and soft tissues of the mouth. Cone beam computed tomography (CBCT) is a type of advanced diagnostic imaging. CBCT is used when traditional dental x-rays are not enough to provide dentists with the information they need to properly diagnose, plan, or address the needs of a patient. Thanks to CBCT technology, dentists are able to receive detailed three-dimensional images of the patient’s teeth, bone structure, gum, tissue, nerve paths, a other structures of the face, mouth, and skull. These three-dimensional images allow dentists to have precise detail that helps with all kinds of treatments. How Does Cone Beam Computed Tomography Work? During a CBCT scan, a patient sits comfortably in a chair as a scanner rotates around their head, a full 360 degrees. Nearly 100-200 distinct two-dimensional images of the patient’s skull are obtained during this scan. These high-resolution images are then combined to create the detailed three-dimensional image. The CBCT scanning process takes up to 40 seconds, though some localized scans can be completed in about 10 seconds. Before undergoing a CBCT scan, patients will be asked to remove all metal objects, including jewelry, piercings, hearing aids, and even removable bridgework or dentures. This will improve the results obtained in the scan. When planning dental implants treatment, CBCT scans can help determine the ideal placement of the implant posts. The density of the jaw bone and the condition of the sockets and remaining teeth can also be assessed. Orthodontic care requires careful exertion of pressure on the teeth and other structures of the mouth to achieve ideal outcomes. CBCT scans help dentists and orthodontists understand the relationship of the various structures of the mouth, and subsequently how these structures can be altered to improve dental alignment. The temporomandibular joint (TMJ) is one of the most complicated joints in the entire body. CBCT scans allow dentists to assess the relationships between bone, cartilage, nerves, and other structures around the mandible and cranium. 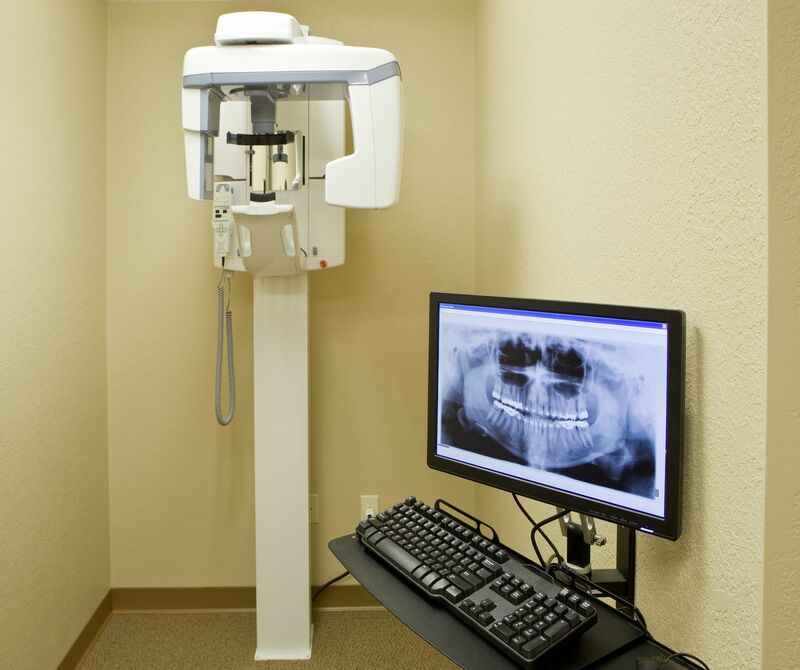 CBCT scans can also be used for all sorts of oral surgery needs, including general tooth extractions, wisdom tooth removal, detecting tumors and other growths, and procedures that involve the sinuses and nasal cavity. For more information about the state-of-the-art technology we use to improve the health of our patients, be sure to contact the team at Windsor Dental Group. Our team is here to help you smile with renewed confidence and improved health.